NetSys and the Department of Computer Science are proud to present Cheng-Hsin Hsu, Professor, National Tsing-Hua University, Taiwan. 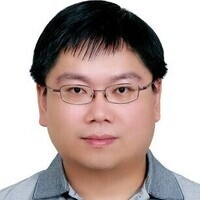 In this talk, Professor Hsu will share his recent work on dynamically deploying IoT analytics across multiple geographically-distributed computing nodes. He will discuss the problem of optimally deploying heterogeneous IoT analytics, such as object recognition and sound classification, on a given smart-space infrastructure, so as to maximize its throughput.